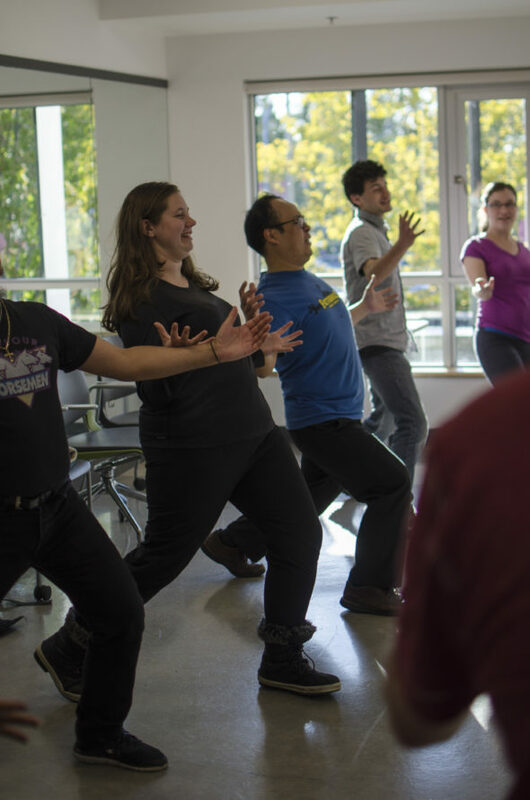 Students looking share some laughs and develop some important skills can once again check out the weekly KPU improv comedy workshops hosted by Daniel Chai. 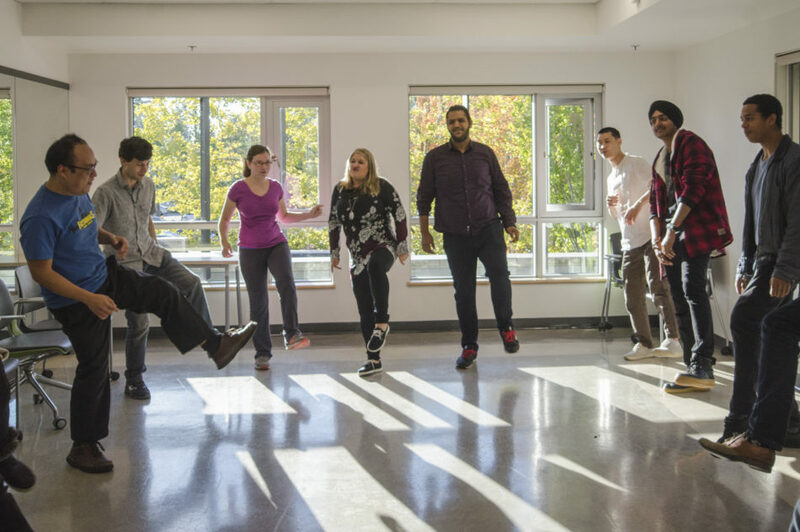 The drop-in classes take place on the Surrey campus every Monday from 5:00 pm to 7:00 pm in Birch 250 and every Thursday at the same time in Room 1320 on the Richmond campus. Unlike stand-up comedy or other forms of acting that rely on delivering pre-written lines, improv comedy is all made up on the spot, usually as a part of a game or a scene. 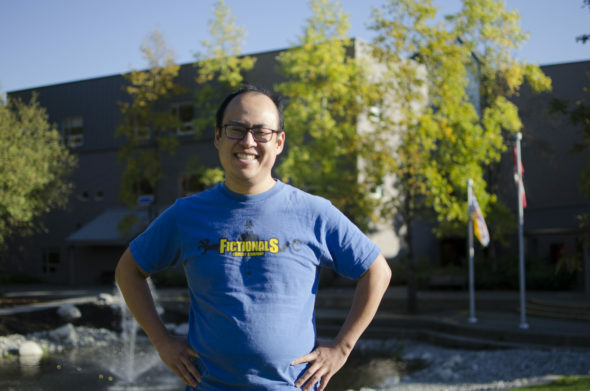 Chai, a KPU graduate and a longtime comedy performer, has been leading the improv workshops at the university for the past two years. “Back in 2016, I was thinking of what I could do to keep spreading the joy of improv while also giving something back to the school that really helped me get started in my career,” he says. His answer was to create Kwantlen Improv, which is supported both by the university and by the Kwantlen Student Association. In addition to founding Kwantlen Improv, Chai is also a co-founder of The Fictionals, an improv comedy performance group, and the creator of Improv Against Humanity, a monthly comedy show held at the Rio Theatre in Vancouver. The Fictionals, who have been performing in Vancouver since 2010, make appearances every Tuesday at Cafe Deux Soleils. Besides using them to have fun and to get to know other students, Chai says that honing improvisational skills can be helpful with tasks related to school and students’ careers. Some of these include forming creative essay ideas, conducting class presentations, or even doing well in job interviews. Kylan Liu-Johnston, a KPU psychology student who has been coming to the Kwantlen Improv workshops since last year, says that playing Dungeons and Dragons with his friends is what originally inspired him to get involved. Liu-Johnston says that working on his improv skills helps him in his professional life as a commercial actor. Now, he attends improv workshops and shows around Vancouver whenever he has the time. The workshops are open to everyone and are free for KPU students.